Our compression socks with Bio-Ray Technology is designed to improve the circulation of blood and oxygen in the veins, which helps to reduce tiredness in the legs. 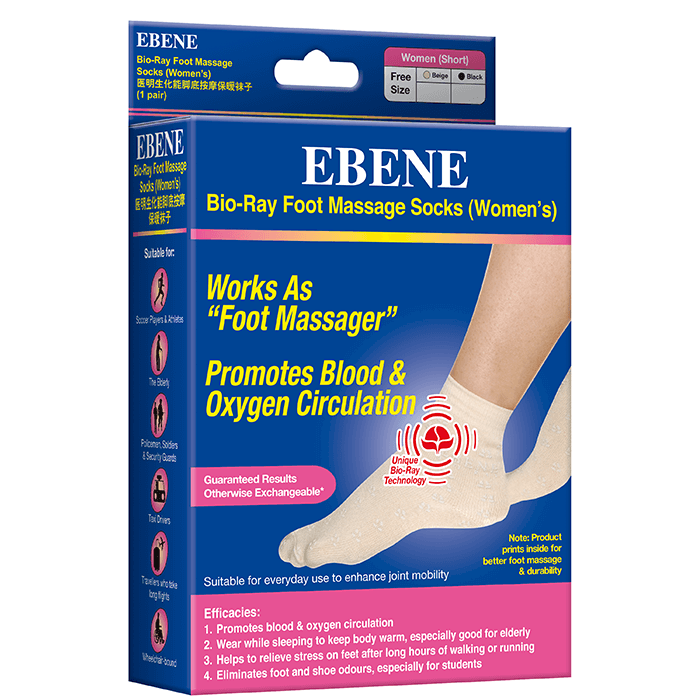 By applying pressure through its ‘massage-like’ features, which squeezes the leg tissues and walls of the veins, our foot massage socks enables easy blood flow to the heart, consequently reducing the chances of legs swelling and muscle fatigue. 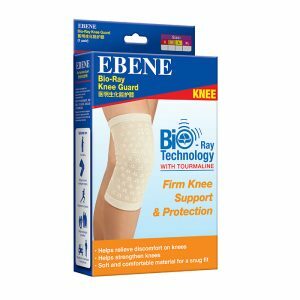 The Ebene socks are free size, and most ideal for those who have to stand or sit for long periods. They are adaptable and can be worn for any occasion such as work, sport and casual outings. We have socks for both males and females to complement the differing attires of both genders. Promotes blood & oxygen circulation. 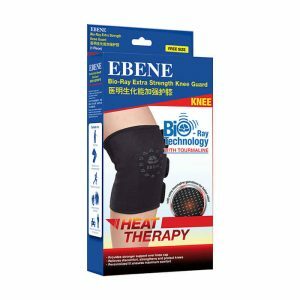 Relieves pain & stress on legs through a massaging effect. Transmits energy to the feet for enhanced speed during running and exercise. Prevents foot cramps during the night. Keeps the feet warm and odour-free. Helps to relieve nocturia problems for a better night’s sleep. 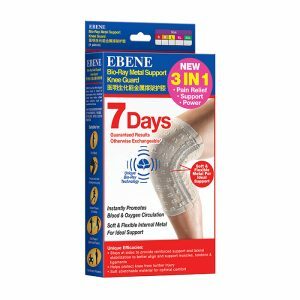 Helps to improve joint mobility. 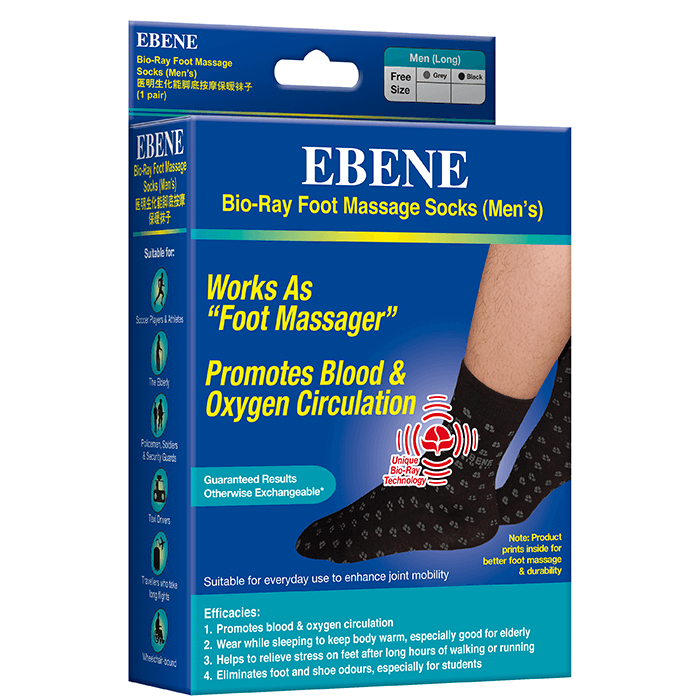 Recommended to hand wash the Ebene socks in mild detergent, avoid excessive rubbing and squeezing to prevent the removal of Bio-ray material. Rinse well and air dry. The side with Bio-Ray prints can be worn on the outside or inside. If unbearable itchiness is experienced, remove product temporarily for 1 hour before continuing wear.